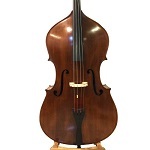 Traveling with the bass is always a challenge. 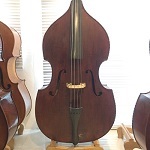 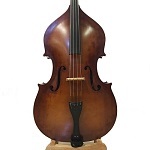 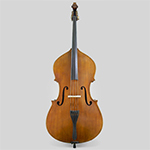 In particular traveling by air is getting more and more restricted and expensive for double bassists who want to take their instrument aboard. 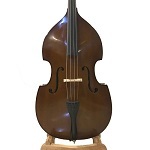 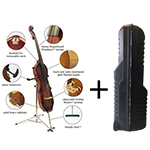 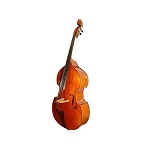 To make travelling with the bass more easy, Christopher has developped a double bass with removable neck. 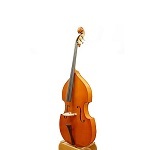 As the makers of the Eminence bass, Christopher has much experience in making portable basses with removable neck. 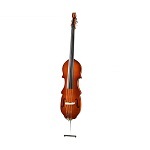 Due to the steel dovetail joint, the neck is removed and assembled within a few minutes. 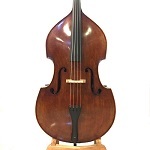 - หางปลาและสะพานนิ้วทำจากไม้ ebony แถมคันชักและถุงใส่บุหนา 2 ซม.